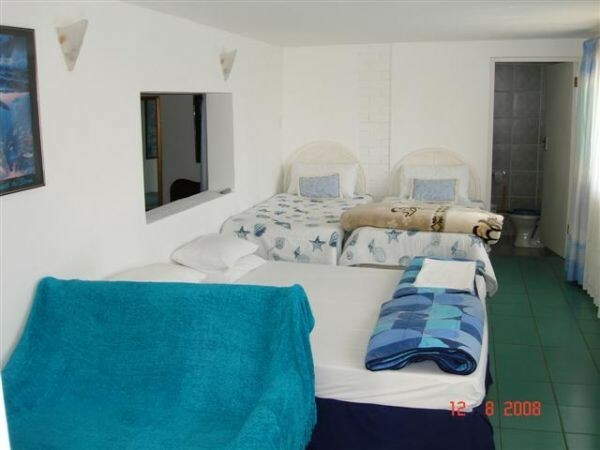 The "Lighthouse Inn" offers Bed and Breakfast as well as 5 Self Cater facilities. 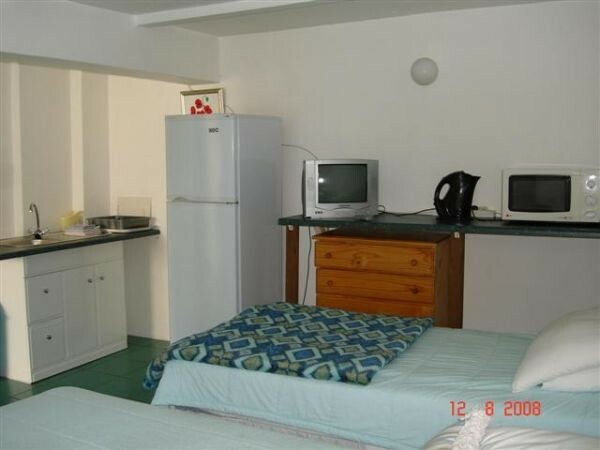 The B & B doubles as a 3 bedroom self cater unit Lodge self cater and the other 5 units can sleep a maximum of 20 ito 25 persons. The venue is situated high on the Bluff ridge overlooking the Durban Harbour with the City in the background with panoramic views day or night. 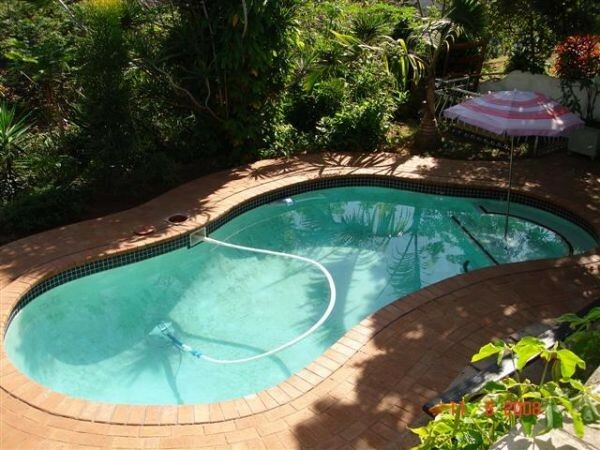 We are a residential property, the suburb is "Ocean View" and is 20km to Durban central business area and Durban ICC. The King Shaka International Airport is 50km on the north of Durban which takes 40 to 50 minute. The Durban Ocean Terminal, uShaka Marine World, Wilsons Wharf and Durban's Golden Mile offering various forms of entertainment all within a 20 minute drive. We offer B and B for Bussiness persons, short and long term accommodation available, contractors and social groups welcome. Cottage wood constructed unit (sleeps 8 in 4 double sleeper couches) with a double bunk. There are TV's in all units with SATV 1, 2 and 3, E-TV and a 2 preselected DSTV channels. Bring your DSTV decoder There are mobile Fans in all units and ceiling fans in the 3 B and B bedrooms. In the main house are the following which doubles as a self cater unit during the main school holiday periods or when large groups book the entire venue or both bedrooms as well as the Sunroom. 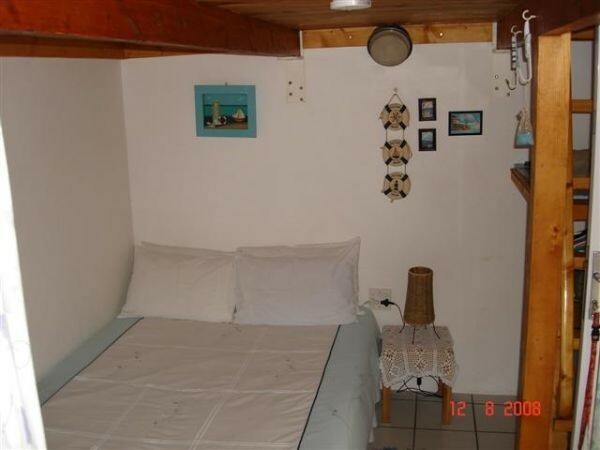 1) Blue Room with double bed and adjacent passage bathroom with separate guest toilet. 2) Aqua Room with double bed and single bed and use of either to share the above bathroom and guest loo or use the ablutions. Together with the above are a fully equipped kitchen, lounge, dining room, covered view balcony overlooking the Harbour and City in the background suitable seating, Snooker/Pool table, Darts and Board, use of swimming Pool and Gardens. We are monitored by Tactical Security with their base diagonally across the road and have several remote panic alarm units. We offer safe off-road shuffle parking for 3 or 4 medium sized vehicles as well as plenty of safe pavement parking. Several mobile braai's/ BBQ's are available for each unit. 4) Dolphin Suite 6 Sleeper self cater unit with 2 separate bedrooms with en-suite off main room, equipped kitchen, Covered porch, table and chairs and use of Pool and Gardens. 5) Coral Suite self cater unit, cooking facility within and has an en suite shower toilet and basin as well as a Covered porch, table and chairs and use of Pool and Gardens. 6) Loft Suite a small studio which has an en suite shower toilet and basin and a double bed with self cater facility within and a loft area with a wooden floor having 2 single beds, storage cupboards which has a quaint stairway to and from it as well as Covered porch, table and chairs, use of Pool and Gardens. 7) The Cottage self cater unit is a large wood constructed unit being 8m x 4m and is on the pool level. 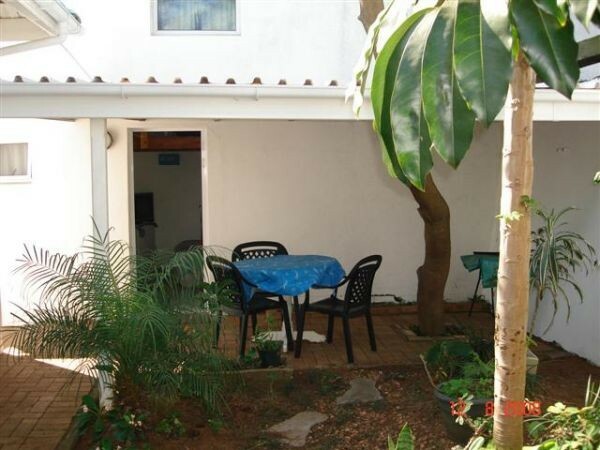 the unit is paneled and has electricity with a large umbrella table and chairs, use of Pool and Gardens. 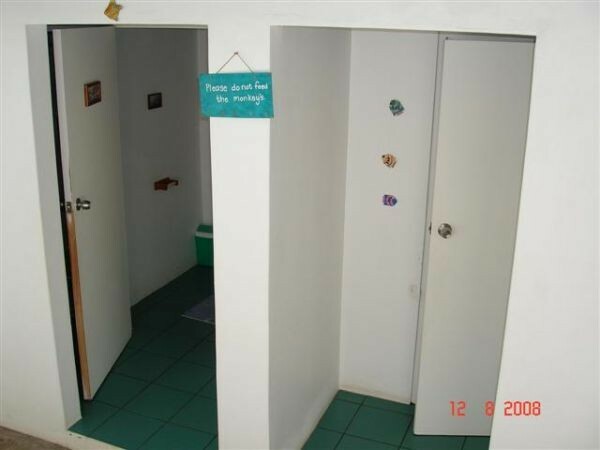 However guests here must use the ablutions Many and various take outs and restaurants just a short drive away. 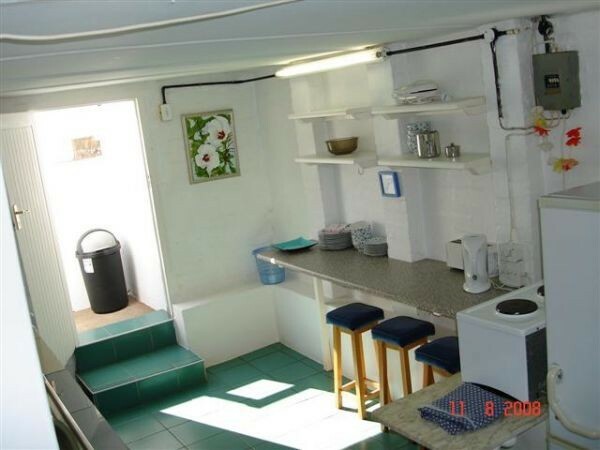 8) The Cabin is a small wooden constructed unit and backpackers make use of this unit and use the ablutions and kitchenette provided. 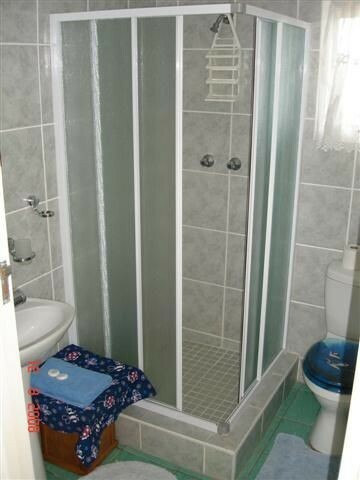 The 2 ablutions are separated with 2 individual showers and 2 separate individual toilets and basins. Self cater guests can order a quality breakfast at R60 p/p p/sitting and is served in the main house's dining room or on the view balcony normally between 6-30 and 9am daily or as requested if later.